The Ledger David Cellars Family is delighted to announce the addition of winemaker Kiley Evans to our team of talented professionals! We seized the opportunity to hire Kiley, and bring him back to the West Coast as our first in-house winemaker. Kiley comes to us with more than 15 years of wine industry experience. Most recently, he worked at Raffaldini in North Carolina – a winery with European origins that specializes in Italian wines. We first met Kiley at World of Wine in 2010, had him come to our vineyard to inspect our 3rd leaf Tempranillo and then ended up taking the fruit to Agate Ridge as custom crush clients. It was there that he made Ledger David’s San Francisco Chronicle award-winning 2010 Tempranillo, which was celebrated in Sunset Magazine’s October 2013 issue as one of the editor’s top “Wines to Try.” He also produced Ledger David’s wine club and event exclusive Tempranillo Port-style wine and its first reserve wine of the same varietal. Originally from the South, Evans moved to North Carolina in 2011 to be closer to family – but his winemaking roots actually began on the West Coast. After graduating in 2002 from U.C. Davis’s prestigious winemaking program as a Winkler scholar with a double major in viticulture and enology, Evans accepted a position with Abacela Winery in Roseburg. It was there that he made a name for himself producing award-winning Tempranillo and Syrah for the internationally recognized southern Oregon winery. And he has the accolades to prove it. Among them is a World of Wine ‘Best of Show’ for Daisy Creek’s 2009 Triple Play – a Rhone-style blend of Viognier, Marsanne and Roussanne; a San Francisco Chronicle International Wine Competition ‘Best in Class’ for Raffaldini’s 2011 Montepulciano Rerserva; and, a Wine Enthusiast score of 95 points for Abacela’s 2005 Syrah Reserve – the highest score a southern Oregon wine has ever received by the influential wine review publication. When Kiley expressed an interest in returning to southern Oregon, Ledger David trusted our inner compass and brought him back to discuss details, including vision and winery plans. Hiring Kiley marks the intro into the next leg of the Ledger David journey. For Evans, quality assurance starts in the vineyard. He uses his background in viticulture, enology and his time spent as a sommelier to handcraft the grapes into wine that ultimately best expresses the terroir of the vineyard. Ledger David is in the final planning stages of its gravity-fed, estate winery – which is expected to be complete by the fall of 2015. The owners have been working diligently on winery plans since 2010 with Brian Westerhout of Ron Grimes Architect, PC. The Ledger David team is committed to staying the course. Ledger David will continue to operate its Le Petit Tasting Room in Central Point with an expansion project underway to accommodate its growing number of patrons. 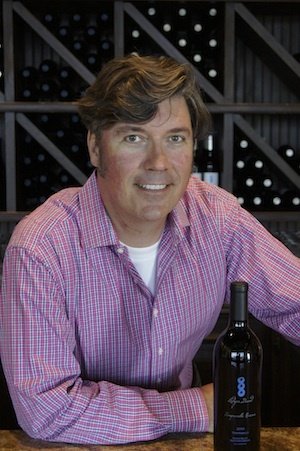 Wine Club Members: Meet the Winemaker August 29 & 30 at the Vineyard in Talent. Reserve your spot at 5:30, 6:30 or 7:30pm. Event is open to wine club members and one guest. Seating is limited. Separate invite to follow later this month. Reservations required. 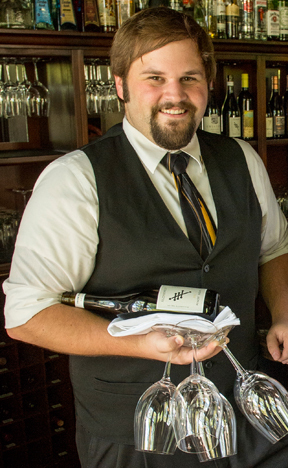 Wine Club Members, Friends and Guests: Meet the Winemaker September 14 from noon-5pm at Le Petit Tasting Room. Join Ledger David Cellars at the 2014 World of Wine event set for August 19-23 at the historic Bigham Knoll campus in Jacksonville, Oregon. The annual festival boasts wines from more than 50 southern Oregon wineries. and offers attendees a rare opportunity to meet local winemakers. “The World of Wine festival is a rare opportunity for a person to taste the broad selection of award winning wines from the region while connecting with vintners, vineyard owners and winemakers,” says Lena Varner, owner of Ledger David. Participants also have the opportunity to partake in events throughout the weekend which consist of a wine competition, sensory classes, and a medal dinner and auction. The medal dinner is your opportunity to be the first to hear who the winners are from this year’s wine competition as well as a chance to meet judges; Dilek Caner, Amy Christine, and Mike Dunne. Chef, Jeremiah Herzig will be preparing a five-course meal for the Gold Medal Dinner on Friday, August 22, which will be paired with the Best of Show and Gold Medal wines. Don’t miss out—seating is limited and reservations are required. On August 23, at the Grand Tasting, sample all the wines entered in this year’s competition. New this year, event organizers have teamed up with Asante Foundation and funds raised during the Southern Oregon World of Wine will go to Children’s Miracle Network and other programs supported by Asante Foundation. For more information about the Foundation, click here. Grand Tasting Tickets are available to purchase at Ledger David Cellars Le Petit Tasting Room in Central Point (limited availability). Wine club members will receive 10% off tickets to the Grand Tasting on August 23. 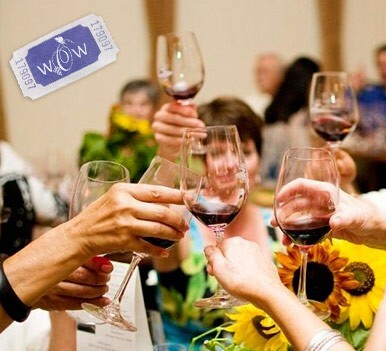 Visit http://worldofwinefestival.com/ for more information. Well the hinges of Hades have melted off the gates and July was the hottest on record here in SW Oregon. Fire and smoke are making my running and biking a little more challenging and I don’t like heating up the kitchen or standing in front of a grill or BBQ when its 103 in the shade. I want to be refreshed! In this kind of weather, Ledger David Cellars’ Sangiovese Dry Rosé paired with a salad is just what I need to cool me down and nourish me as well. Not only will this salad make you feel great, it is delightful with the Rosé. Superb summer eating that is quick, fresh, local and easy. It can be your lunch or serve it up as your starter course for dinner. You’ll love it! Robert’s riff on goddess dressing. Slice the tomatoes into wedges and place equally in or on the bowl or plate. Slice the Burrata into ¼” slices and place over the tomatoes wedges evenly. Coarsely chop the basil and evenly distribute over the Burrata and tomatoes. Add fresh ground pepper. Add the blueberries. Add dressing as you like and garnish with a leaf or two of whole basil leaf. Whisk or blend ingredients until well blended and refrigerate. I love this stuff so this quantity works well for me. You can half the recipe and still have plenty. Cheers!